On Sunday 30th October, Arletty Theatre held a one-day workshop on TiG, a new play written by Arletty Theatre Artistic Director Imogen Joyce. Imogen and I co-directed on the day, and had a fantastic cast of local actors who really brought the script to life. TiG is set in Nottingham, and is about gang violence and the people who work with victims and offenders. The story of Antigone is threaded through the play. 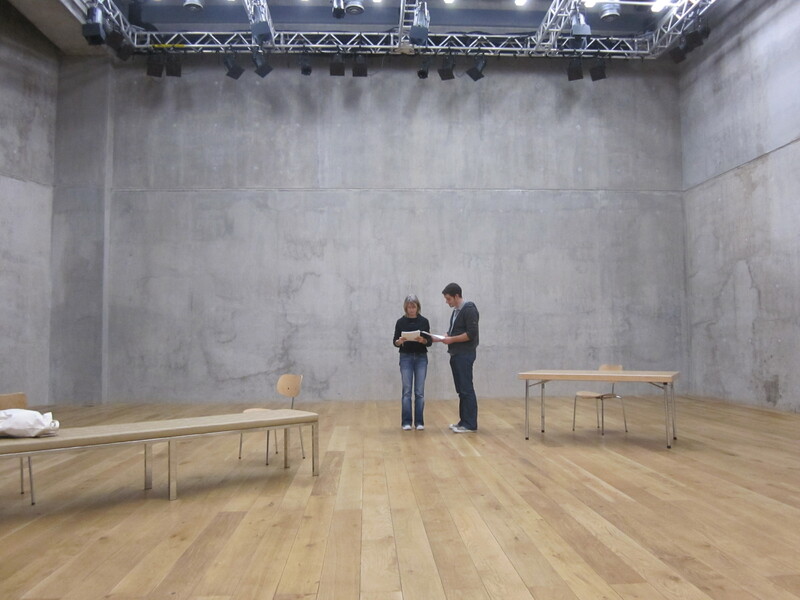 We used The Space at Nottingham Contemporary for the day, and loved the “concrete cave” feel of the space – especially as TiG is inspired by Nottingham’s underground network of caves. We’re now working towards a rehearsed reading of the play in December. For more photos from Sunday’s workshop, please visit the Arletty Theatre facebook page.